A Bad Funnel Is Better Than No Funnel. Last night I was on a “EZ Lead Funnel Building” The webinar was an 1 hour and 20 minutes where Geoff Stephen built out a complete funnel. “Funnels Are Fun” said one of the participants. And I agree. I think too many people get in their own way when it comes to venturing into creating their own funnels. They tell themselves every “Why I can’t do it” excuse in the books. You Don’t Even Need A Product. Geoff showed everyone how to build out a funnel using video training and recorded webinars that are available in the back office for Executives. And I have actually been doing this for a while now. So in a sense, Geoff gave away my secrets, LOL. Here is a list of video training and recordings that Geoff setup for us to use in funnels. I make funnels and sell access to the videos for a low price and I make sales. It’s up to you, but these are real value, that many of us pay $147 a month for and worth every penny. It’s too complicated Don’t Even Try To Build Your Own Funnel. Many funnel builder and system owners would have you believe that building your own funnel is too complicated, just buy mine. Some of them even pay an entire team of techs who all have some kind of BS in computers. So by the time you see the funnel and all it’s glory, you’ll to your self, no way I could ever build a funnel. I’m here to tell you that is not true, not at all. You can build your own funnels and you’ll get better and better over time. And yes it’s okay to promote pre-made funnels. But that should only be until you’re ready to build your own. A Funnel or page builder to make the following pages. a. The Opt-in or lead capture page. The confirmation page can be valuable real estate. c. The Thank you or download page. 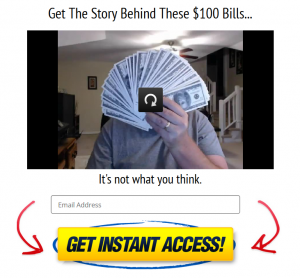 Autoresponder (Money is in the list) Build your list! Something of Value for the download page.